Surrender at 20: Red Post Collection: May Early Sales, LCU Q&A, URF this weekend in RGM, and more! 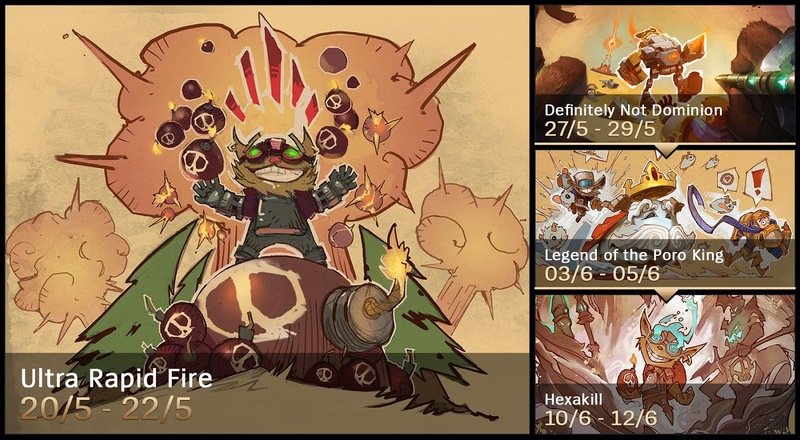 Red Post Collection: May Early Sales, LCU Q&A, URF this weekend in RGM, and more! Today's red post collection includes URF mode live in the RGM queue, the May early sales up in the shop through the 23rd, a Q&A on the League Client Update, and more! RGM Queue: ULTRA RAPID FIRE! 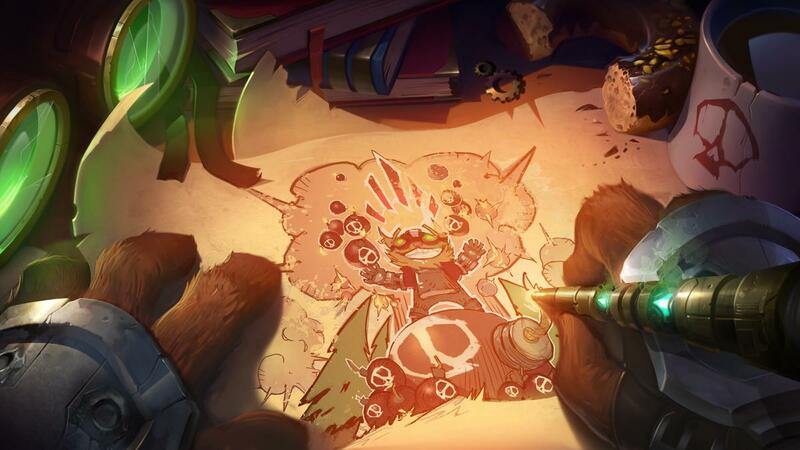 U.R.F mode has returned in the rotating game mode queue and will be up over the weekend! Looking for a rundown of Ultra Rapid Fire? We haven’t changed much since last time, so head over here to get caught up. Ultra Rapid Fire is now available and lasts through the evening on Sunday (we’ll shut it down very early Monday morning--usually between 1:00 AM and 3:00 AM). The legacy URF icons are also back in the shop for a limited time! 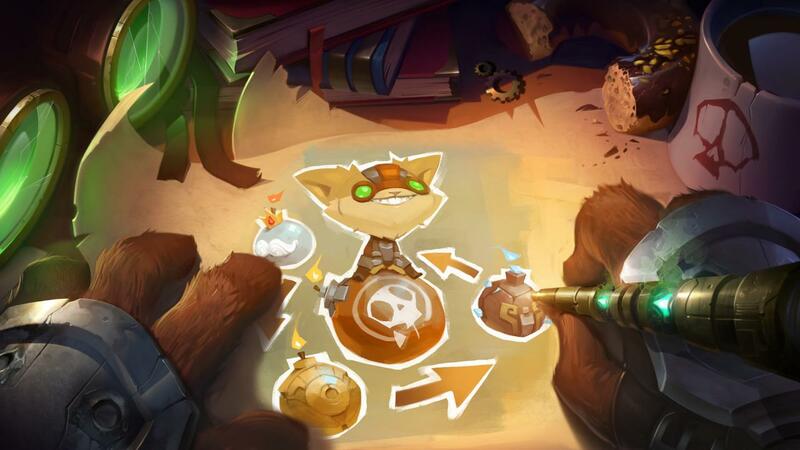 At 250 RP a piece, these icons will also give you unique finisher visual effects when you kill an enemy while playing URF! Details and previews available here. 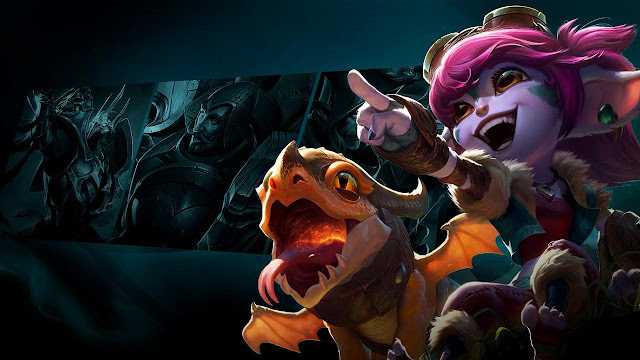 May's early sales are now in the shop through May 23rd, offering discounts on four skins released in the past few months including the legendary Dragon Trainer Tristana! "The May Early Sale is officially here! To kick things off, the following non-Legacy skins from the past 4-6 months are going on sale from May 20 00:00 PST through May 23 23:59 PDT!" Looking forward, June's champion and skin sales are available here. The 2016 MSI in-game rewards are now available, including an party ip weekend for several regions and a limited edition golden KR MSI 2016 icon! During the event, the six MSI regions competed in the OWN THE RIFT promotion to play games while wearing their free regional MSI icons. Based on the final standings, TR, EU, KR, and NA earned the Party IP weekend - increased IP while queuing in a party - from May 20th through 22nd! "The Party IP rewards you will receive based on regional performance and party size are as follows: (Example, for a party of 5 in the first place region, you’ll receive 300% bonus IP)"
The golden Korean MSI summoner icon is also now available for 250 RP worldwide and for 1 IP for Korean players to celebrate SKT T1's victory at 2016 MSI! This icon leaves the shop on June 3rd! More information on MSI and these promotions can be found here. We also have a new edition of /ALL Chat where various Rioters and community folks take a stab at naming items! "Can you name all of these items by just their icon? Let’s start off with an easy set. Things will only get harder from here…"
With the League Client Update alpha launching earlier this week, the LCU team jumped on the boards to host a Q&A on the current focus areas of SR + ARAM play loops! "And that's a wrap for this Q&A! Thanks to all of you who stopped by to ask your questions -- we'll be back for more live Q&As in the future! Until then, make sure to keep watching theLeague client update website for more news and announcements. Some members of the League client update alpha team are taking a brief field trip to the Dev Corner board. Our Q&A about the current focus area (the Summoner's Rift + ARAM play loops) is LIVE NOW! Please ask your questions below. Prepare to Test: SR and ARAM"
How many people will actually get an invite and how likley is it to get one? Right now, we're starting slow with a relatively small amount of invites, so most players won't have an invite yet. As we optimize and are happy with the client's stability we'll let more and more players in -- eventually we plan to let in everyone who signed up. :)"
With the new client will there be new features in it(replay system? :D) or just aesthetic changes and a better working client? 3) Adopting some internal tool changes that allow us to make new features more quickly/more efficiently. So while the alpha client probably won't have any significant new features when we go to beta, its design will allow us to prioritize new stuff later on." What's the development progression on the alpha client? There's currently only the play loop, which is fine, but are you guys going to refine the play loop before creating more functioning features? I'd love to provide feedback about features that are close to release potential. I'm not too sure what feedback you guys are looking for since we know that it's not currently working the way you guys want yet. What constitutes good feedback? The current alpha client is a bit bare bones and that's very much intentional. We'd like to focus your feedback on specific areas that we highlight on the homepage of the alpha client. These "focus areas" are going to change as we continue to add more features to the alpha.Current focus area is blind pick and ARAM play loops. You should feel free to provide feedback on anything and everything you see on the alpha client right now. As we work on adding new features to the alpha, we'll also be keeping a close eye on player feedback and continue to polish existing alpha features. Let's talk about what constitutes good feedback. Good feedback for us provides insight into why you feel the way you do about it and what your ideal scenario would be. This would make it easier for us to digest and potentially act on that feedback compared to say something like "I don't like the new champ select screen cause it hurts my eyes." That's OK feedback but it always helps to understand the why and in what way you'd like to change it. You can also keep tabs on the current and upcoming focus areas on the alpha website." Q: When exactly will we be able to test features like store, collection etc. on the new client? A: SOON! But seriously, we'll be adding these features one by one to the alpha to get focused feedback on them." Can we please have a rough estimate for the end of this nightmare that is the old client? Just to add onto CapnBranFlakes's comment, we are AIMING to replace the legacy client with the client update this year. Since I wrote this originally, I'm gonna copy and paste it from the FAQ :P "An exact date is hard to pin down. We’ll go to beta when we’ve implemented all its features and can ensure that it’s a totally stable build."" I am actually a tester and i have to ask what inspired you guys to design this amazing new client and where there other designs that you simply didn't like can you describe them? We ran through many many different themes. We knew we wanted something that felt like League of Legends, but finding one universal source of inspiration was difficult since our game is so diverse. We zeroed in on hextech since Piltover is such a cool, iconic and unique faction. Our initial hextech explorations included some VERY literal designs that were problematic for many reasons. We dig into this a bit in the Visuals Dev Blog. One of them was a literal, crafted machine to create a rune page. It was an epic, audio/visual experience. It was pretty cool however it actually ended up being more difficult for players to use and for Riot to update down the line. That encouraged us to go for a style that is much more flexible. We want to be able to turn things up to 11 when we want to get people excited and also turn things down when we want the content or interactivity to have the spotlight." Do we have to use the new client? Can we keep using the current client? You can continue using the current client until there comes a time where everyone will make the switch to the updated client. Until such time, if you've been invited to the alpha, you can switch playing between it and the current client as you like. We'd really appreciate your feedback to make the alpha better for everyone!" What technologies will be powering the new client? Language, framework? If you rolled your own, care to tell something about its technical side? Are you using a custom package for this Chromium environment, or something like Atom? It's our own build. It's sort of like a game client version of Atom (which is oriented around text), with a more component-oriented extensibility architecture. We have an underlying C++ communications layer for handling the async WAN communications." On the programming side, what do you think the greatest change from the current client to this one is? And how much (if at all) do you see yourselves updating/improving the new client when it comes out? Great question! There's just straight-up more people working on League now, and when you have a bunch of chefs working in the same small kitchen it's easy get in each other's way. Also, this metaphor is bad, but I'm rolling with it. That in mind, we've put a lot of care into making a better kitchen, as it were - creating an extensible platform that lets many people work in the updated client at the same time. Part of the way we do this is having good boundaries between code belonging to different features, so that we can add new ones (and update existing ones) as needed. The trick is to get all those features to play nicely with each other so it comes together as a cohesive experience. We'll definitely be talking about this in more detail on the Riot Engineering blog, so swing by if you're interested :) http://engineering.riotgames.com/"
Is this going to work better with 4K monitors than what we have now? Yep! The updated client supports hi-dpi displays on both PC and Mac. SO MANY PIXELS"
I can answer a part of your question :) We'll have options to disable the client's most resource-hungry animations." What are plans for Runepage's look? The page itself seems bounded to old visual. Will positioning of slots change? Visuals of the runes. I believe runes need complete update, but for now, how will it be? New Masteries, for example, will visually fit, just sidebar needs to be updated. Runes are not the case. Also might you change menu text ("Profile", "Collection") into icons? Now it reminds too much of Heroes of the Storm and I think icons are bette translation-wisely. Finally, might we have hint what this "Collection" choice is? The feature of skin browsing proposed long ago or common browsing for champions and stuff (basically new "champions" tab)? 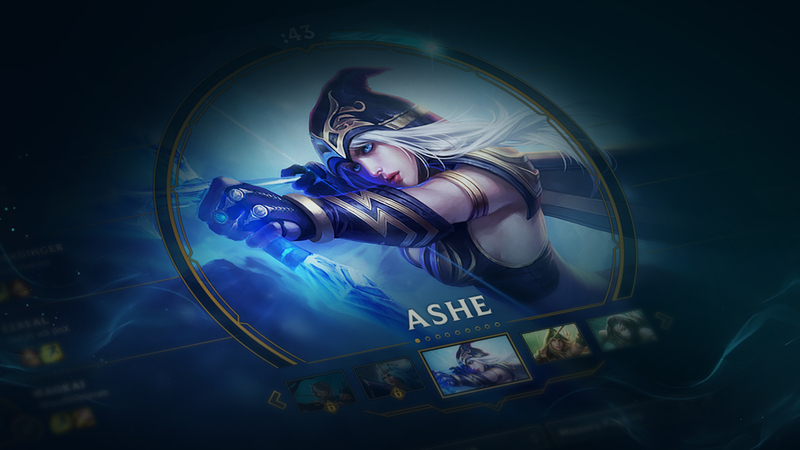 We're revamping the Runes and Masteries pages to fit the look of the updated client, which includes rearranging the positioning of the rune slots in particular to be more intuitive. 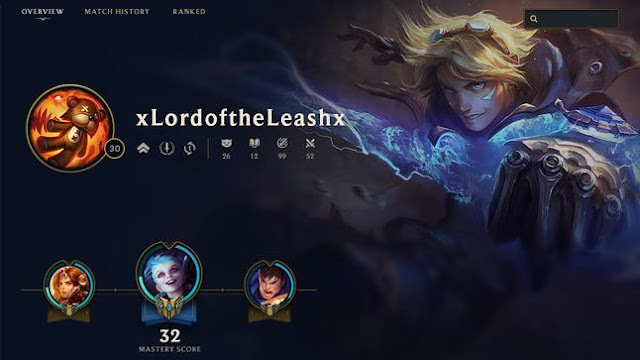 We'll have more detailed info about the Profile & Collection sections in a later alpha release, but the basic idea is that the Profile section is all about your identity as a player, including your match history and stats, and the Collection section contains all the champs, skins, runes, masteries, and other stuff you've unlocked." Are we going to be able to drag around mastery and rune pages to rearrange them, like we do with our friends list? Yep! We'll introduce those pages in an upcoming client alpha patch." will there be a ablility to better find friends like maybe a people you may now by checking your'e friends to lists of friends (yes that sounds stupid im Danish) or maybe a cleaner look over news because i find it frustrating to go the na page because the news differ beetween them so maybe a link or just give all nations the new why make it exclusive to na? Yup! Improvements to finding friends is on our list and we're looking at a couple of ways of accomplishing it. Not a ton of details to share just yet though. More to come on the news page of the client update later as it's still in the works." I disagree. Uniqueness usually stems from individuality, which is a big part of self customization. Oftentimes, though we play certain champions, it doesn't mean we're necessarily fans of them (or their role). Allowing us to choose what we show on our profile as a background is the best path, and one other members of the community have endorsed. If you'd like to lock us on a pick, it'd make much more sense for your highest mastery champion to be shown. On top of that, the Recently Played system, at least in its current form, just doesn't work correctly. Several times myself and friends will have our Recently Played champion as someone we played 10-15 games ago. Absolutely agree that customization is a big component of making it feel like your own and something that we're definitely still talking about. One of the goals was to have a profile that would change with you as a player and be representative of what you're currently playing. Using highest mastery would absolutely give you a champion that you have dedicated a lot of time to playing, but also may not change frequently, especially if you've embraced specialization. In that case frequency of play/recency will get you the champion as your background image. All that being said we're definitely still open to trying different ideas to get a profile that feels good!" Is the unique ambient sound that plays when u select a champion special or did you just take them from their spells? The champ select sounds are adapted versions of their abilities, yes. We worked with Rioters who main those champs to pick sounds that felt most iconic to each individual champ." and is it normal to take 700 ram on macs? isnt it too much? Yeah - we're planning to bring that down for sure. We're optimizing a lot of stuff as we speak :)"
Also, is the new client compatible with hextech loot at the moment? Do we still earn chests/keys while playing in the new client? Last but not least,any idea on what the next focus area will be? Thanks! This is just the beginning. Honor system and other social play features are definitely on the roadmap to be added to the alpha. It's hard to say right now if this will involve changes to these features beyond how they look in the updated client. The updated client is compatible with hextech crafting so you're still earning your chests and keys but can't see them or open them in the updated client. (yet) Alpha client and the current client both connect to the same live server so if you'd like to open your chests, you can switch over to the current client to do so and everything you earn will be added to your account when you log back into the alpha." Is anything on the champ select page left open to change? I'm not a fan of the smaller chat size or the font size. Makes it a lot harder to read for some reason, maybe because I feel that it's too small. Any thoughts on if minor details like this will be changing or are open to change? Overall I believe we're always open to feedback and iterating on it based on your needs as players. In this case specifically, we have been exploring different options for chat in champion select and in the end of game screen to make it feel more impactful and bring back some space. Nothing definitive yet on the direction but know it's an area we are actively exploring." Why the long time for the client? 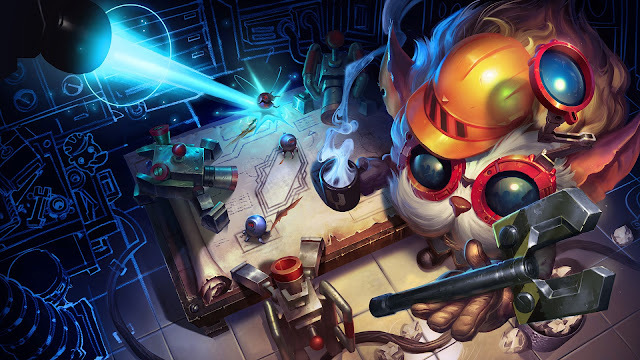 We've heard rumblings since 2012 that Riot was working on a new client, was it just a scope issue? Is the final client going to be an updated version of the one we have now or will there be new features coming with it entirely? Is there a reason you chose ARAM and SR for the play loop? Why the hextech design and not, say, a more runic design ala the older client? Improvements to the legacy client have never stopped, but we chose to re-scope thismajor update a couple times as the needs of League and players have changed over the years. Our focus is on upgrading the client's underlying tech, improving the visual & audio design, and player quality-of-life improvements across all the existing features. We're not planning any brand new features at launch, but new League features are always in development and will get added to the updated client when they launch. All queues will get added over the course of the alpha, but we started with ARAM and SR blind pick since these are the "safest" tech-wise to start with as we put the updated client tech through its paces. We designed the client's visual & audio with 2 key goals in mind: (1) a consistent visual & audio style (hextech UI) to the client that feels true to League as it is today, and (2) a clean, intuitive interface that any Riot dev team can extend and adapt to fit with new League features in the future. If you're interested in learning more, check out the client Visual Style blog from our design team!" Is there anything new to expect to the Client options? As the updated client grows, I certainly expect that some dials and levers will appear in the Settings menu to go with them. As an icon collector, are Icon's shown on the client just like before or have they become bigger/smaller? Yep! There's still room at the top of the list for your BFFs. I sadly haven't got the Alpha acess and maybe will never get it, even if i'd like to as i like to help..
Don't worry - the alpha will be expanding as time goes on :)"
-Its dificult to program features like new champ select for both alpha and legacy clients while the legacy still exists? I guess the new ARAM champion select won't hit the Legacy client because is too much effort to maintain 2 versions of the same feature. Plus, I got two question about the new client but they aren't for Summoner's Rift and ARAM changes. -Why choice most played champ for profile image instead of best mastery points or user choice? -Its possible on future to make a web page for runes/masteries or a save/load to archive? "ABV: For the profile image we chose your recently played champion, which also shows up when you hover over yourself in the friends list. The intention was to have the profile feel a bit more alive and be representative of what you're currently playing. When you visit your friend's profile you'll see what they're recently playing so that you and your friend's profiles feel more unique." "Good question - yes, it’s definitely overhead to maintain features in 2 different clients, but we are absolutely committed to making your experience the best we can in either client until we fully move to the new one. It's just the cost of doing this type of re-engineering work. "Hey! Let me pick up the tech portion of your question. It's a really good callout, because while we're eager to get the updated client out to folks we definitely don't want to disrupt anyone who is playing on the legacy client. To achieve this, we put a lot of care into making sure that the updated client and the legacy client can speak the same language - so chat messages, statuses, invites and all that other good stuff can move between both clients freely without either one getting confused." Be sure to check out the League Client Update website for the latest LCU updates, dev blogs, sign ups for alpha, and more!